Can Salamé Bring Peace to Libya? What tasks face Ghassan Salamé, the new head of the UN mission to Libya? Will the recent Paris peace agreement make a difference? We spoke with Mattia Toaldo, senior policy fellow at the European Council on Foreign Relations. 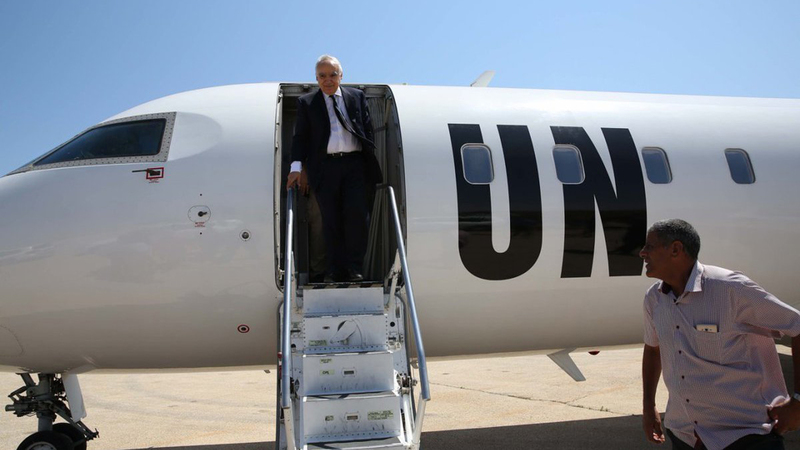 zenith: What is the task for Ghassan Salamé as the new head of the United Nations Support Mission in Libya (UNSMIL)? What might he hope to achieve in his first 100 days? Mattia Toaldo: One of the differences between him and his predecessor Martin Kobler is that when Kobler went into office he had even less than a hundred days to carry out a very important task, namely finalising what then became the Libyan Political Agreement (signed in Skhirat, Morocco in December 2015). And there was a similar situation for Kobler’s predecessor, Bernardino León – when he came into office, the UN had to withdraw from Tripoli in a few days and he had to broker a ceasefire. So for the first time you have a UN envoy to Libya who actually has to get things moving, instead of being moved very quickly by events. I think that the first temptation will be for Salamé to do things immediately to shows some kind of progress. But actually it will take him much longer than 100 days to get things moving on the political process and other issues. He’s probably going to spend the first few weeks on a listening tour in Libya, which would be an excellent idea. Yes, the Paris meeting on 25 July has given the impression to the media that there was a significant breakthrough. But the joint declaration solves very little apart from adding a new task to the UN, namely to organise elections sometime in the future. How did Kobler’s tenure as head of the UN mission conclude? Since last summer the implementation of the Libyan political agreement, which was Kobler’s main task, had definitely stopped. By September 2016, it had become clear that the agreement would not be ratified by the parliament which would not approve the list of ministers. So Kobler spent the following nine months trying to get the parties around the table. But he went nowhere, not because of his flaws, but mainly because the parties are much further away than one could understand just by reading their statements. It’s often said that we need to find a regional solution to crises in the Middle East. Now the challenge is to have Libyans themselves come up with a solution. The existing agreement was mostly based on members of the two parliaments, but those parliaments are very dysfunctional – there is very little connection between those parliamentarians and society at large. This process mostly centres around people who are very reluctant to agree, and are also not very important once an agreement is signed, in terms of implementing it on the ground. Do some of the people in the process realise that if they are successful, they stop mattering? Yes. What happened for instance in 2015, is that a number of members of parliament signed the agreement, but then for it to be implemented they had an uphill battle in their own parliament and on the ground, and they lost both in the end. You’ve said that Kobler lost the trust of key players in Libya. This was mainly because some key stakeholders in Libya behaved like football players – when losing the game, start to blame the referee. Of course, Kobler can also be blamed for certain moves. At the beginning of last summer, in 2016, he met with the head of the Petroleum Facilities Guards (PFG), which was then blockading the oil terminals. More than what he said, it was the optics of the meeting that undermined him: Kobler got out of the car and gave a very warm hug to these men, men who most Libyans consider criminals who have blocked the economy and brought the country to the brink of disaster. After that he received a lot of criticism from Libyan media and on social media, and it was very hard for him to engage with the parties. Kobler also entered the office after a relatively big scandal, because Bernardino León got a job with the UAE right before leaving his position as UN envoy. A number of emails between him and the UAE were published, showing some collusion in the drafting of the agreement. So when Kobler came into office, there was a lack of trust in the UN to begin with. Does the fact that Salamé is an Arab make any difference? Will there be some kind of reset? I think there will be a reset. Salamé is a different public figure to Kobler – he is an Arab, he’s been a minister in Lebanon, so he knows politics in Libya. It will be very hard for key Libyan stakeholders to make a fool of him, and it will be more complicated to delegitimise him, because he has a history in the region. At one point or another, every UN envoy is accused of either being too close to the Muslim Brotherhood or too close to the UAE, and because Salamé is a Lebanese Christian, these kinds of accusations won’t be possible. I think it’s a big advantage. He also comes to this job with some experience in mediation, from his job in Burma and from his teaching experience, and from his experiences in Lebanon itself. But it’s a very complicated task, because the old UN template of getting some political factions around a table to sign an agreement, then implement a ceasefire, then elections has not worked in Libya, and I think the main challenge is to get beyond the usual stakeholders in these agreements. It’s also very difficult to have a national ceasefire implemented throughout the country, because you don’t have national factions, it’s mostly local factions, so Salamé will need to be very creative in the way he approaches peace-making. To this end, the joint declaration signed in Paris adds problems instead of solving them. It declares a ceasefire, even though Haftar has never directly targeted Serraj. But it also includes an exception for all fights against terrorism – and this is how Haftar frames all of his battles. In fact, there is no ceasefire; rather, there is the distinct possibility that Haftar will use the legitimisation of Paris to dig in politically and focus more on the military side. International analysts have discussed the prospects for decentralisation of power. Do you think that could help the situation? I’ve been supporting this idea since 2014, because I think the overthrow of Muammar Gaddafi was a very local phenomenon, mostly led by local committees. The only legitimised political institutions at the moment are municipalities, even though they have very little power. An example: all public services, from water to sewage to garbage collection, they’re all done by government agencies, and they’re done very badly. There are elected mayors, who are usually trusted by the population but have neither funds nor power to deliver services. In many cases, these mayors have been very involved in peace-making, in the UN process, but as second-class negotiators. Making them capable of delivering public services while also giving them a role in peace-making would probably be more effective. There are suggestions that the government make a decree devolving administration of some public services to municipalities. That cannot be done overnight, because the municipalities have no expertise in this whatsoever. Power and administration were never devolved in Libya under Gaddafi; even though the official narrative was different, in fact everything was extremely centralised. So it would take some time for municipalities to take over those powers, but it’s something that needs to be put in motion now. To deliver services, they need to receive revenue from the central government, or raise taxes. It would probably be a very popular measure. But this would require the government to hand over power? Yes. But I think it would also be an honest move from the government, in saying, ”We are very weak, we cannot deliver these services, let’s try to make local communities deliver those services when and where they can.” And I think that decentralisation at the political level also goes hand in hand with another process that is actually happening – the government has divided Libya into military zones, where in some cases commanders have already been appointed. This is one of the things Salamé will need to work on: the creation of security forces that respond to civilian authorities. This too would require military powers to surrender their own powers or autonomy. In some cases it’s not impossible. Some of the military commanders already appointed in some regions have good relations with the militias. Some militias have clearly said that they would prefer to be part of the army, because they realise that unless they become the army they will not be legitimate. But of course, we should be under no illusions that this is a process which will take a few months – it will take years – but it’s something that again needs to be put in motion without waiting for the big political agreement to happen. I think this is essentially the big yardstick to measure Ghassan Salamé’s work: how much can he achieve without having in his hands an agreement between all the Arab capitals; and what to do with Libya, because I believe that in the current situation there won’t be a big political agreement in Libya, regardless of the hopes stemming from the Paris meeting. We will not see another Skhirat or another big signing with cameras, because the region is simply going in another direction – unless one mistakes the Paris meeting for a peace agreement, which it is not. And for ordinary citizens, delivery of public services is one of the most important issues? Public service delivery is a humanitarian imperative. There have been very long power cuts this summer, even in Tripoli, the capital, not to speak of the south, where they have at times endured 35 consecutive hours without electricity. It’s similar with the lack of adequate sewage and garbage collection, which pose health hazards, and healthcare and so on. These things need to be done in order to avoid a humanitarian crisis, in a country that is actually much richer than others in Africa. Secondly, it’s also an issue of building legitimacy from the bottom up. If citizens see something happening on the ground, this also reduces the incentives for violence. If what the citizens see is fragmentation and lack of services, and everything going rotten, then of course there is more room for armed groups. Is the UN the only organisation that can operate effectively in Libya without being seen to take sides? Of course the UN will always be accused of taking sides, because that’s how things have been in Libya for the past five years, but in terms of capacity and legitimacy it’s the only actor that can do it. It has failed to do so in many cases, but in other cases it has delivered – for instance the UN Development Programme, which has delivered solar panels in many places where there were power shortages that were particularly disruptive for the healthcare system. And they have delivered ambulances. Another dimension is local peace-making, and this is something that generally the UN needs to be better at. They have a template that is mostly built around national peace-making, but there are issues in Libya – such as reopening roads or airports to allow aid to flow – that require a different kind of mediation than convening a meeting of big politicians in a five-star hotel in Tunis. Right now, the geopolitical environment is in flux – US foreign policy under President Trump is quite uncertain, Russia is emboldened, while the GCC is in-fighting with the Qatar embargo. How does all this affect Libya? There are very few positive things that can come from outside of Libya. Europe is completely focused on migration and terrorism, and in this focus it loses the long-term perspective. The US is very disengaged under Trump – if people accused Obama of being disengaged, then Trump is on the moon. Russia has been more involved, but at the moment it’s mainly talk, and I doubt that it has the energy to reach out more. This leaves us with the regional powers – Qatar, the UAE and Egypt – but they are all fighting their own battles, and if they can bring something to Libya, then this is exporting to Libya their own battles, which is not good. In the last year and a half you have had Egypt extending its air strikes well inside Libya, and the UAE actually establishing an airbase just south of Benghazi. Qatar’s present role is unclear, though it is clear what they did between 2011 and 2015, which was to support Islamist factions. You mentioned the migration crisis and the position of the EU. What can the EU do here? Is some kind of comprehensive political solution needed? I wouldn’t wait for a comprehensive political solution to deal with migration. I believe a number of things that can be done to try and solve the migration issue can actually help to solve the political issues as well. The first thing is to make migrants skip Libya – this means providing some work visas so that people fly to Europe, while signing return agreements for illegal migration. Inside Libya, a number of things could be done. The two most important are, firstly, strengthening the EU border assistance mission, which should work on building up the rule of law – for instance, strengthening the investigative capacities against smugglers. Secondly, we need to work on the smuggling economy. At the moment, there is a strong connection between the smuggling of subsidised goods and the smuggling of people. We need to sever that by making some of what today constitutes smuggling into legal trade, while cracking down on the other part. Any licit good that is today smuggled illegally should be legalised. There is no point saying there are alternative livelihoods for the smugglers and their communities – in the desert it’s only trade. We need to choose which of the we really don’t want them to trade – people, drugs, weapons – but everything else – fuel, flour, cigarettes, television sets – needs to be brought under a legal domain so that it becomes a concrete alternative livelihood. We need to tell people that there are legal things they can do that will provide them enough to survive, but that there are other things we will really not tolerate. 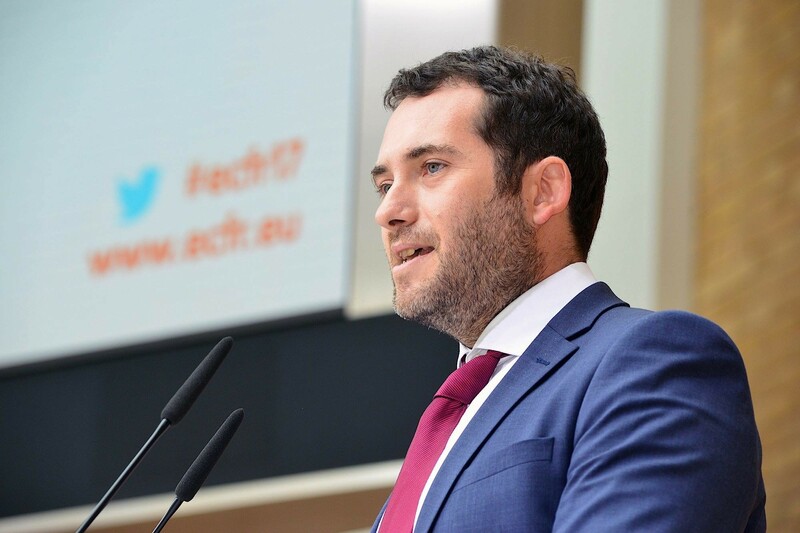 Mattia Toaldo is a senior policy fellow at the European Council on Foreign Relations, based in London.